CHAPTER 1: LEGACIES OF OLD ? As tensions mount between the Empire and the Republic, <name>, apprentice to Darth Zash, leaves the confines of Imperial space in search of the lost artifacts of the legendary Dark Lord of the Sith, Tulak Hord. ? On Kallig's advice, <name> retrieved a powerful relic on Korriban to protect against whatever dark ritual Zash is planning. ? 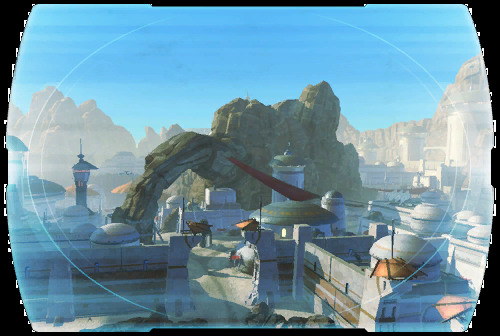 Now the search for Tulak Hord's artifacts takes <name> to Tatooine, a barren desert wasteland where the galaxy's criminal elements go to disappear.... ?